In this last script from the appalling fictional women podcasts, I’m in New Orleans, watching an old man die. Shortly after that, I’m in Mississippi, watching his daughter Laurel empty the private room where her dead mother’s things were kept in her childhood home, before her appalling step-mother sells the house with everything in it that Laurel grew up with. 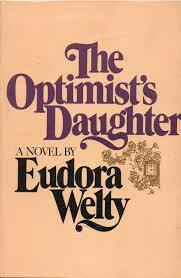 The Optimist’s Daughter by Eudora Welty won the Pulitzer Prize when it was published in 1972, and is generally considered to be her masterpiece, even though she was primarily a short story writer. 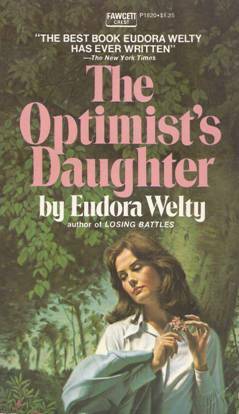 I discovered this novel when I wanted something longer from Welty than a short story. Her fiction has the knack of embracing you so completely that when the story ends, you really don’t want it to. You want to be back in that world, looking at those people and wondering why things happened the way they did. I say ‘you’, but I mean ‘me’, because I’m only speaking here from my experience. I didn’t grow up in the southern states of the US, but I did go to school there, briefly, for a few months when I was 9. When I went back to North Carolina a few years ago on a research trip, the smells and sounds of the land and the air hit me like a shout of remembering. 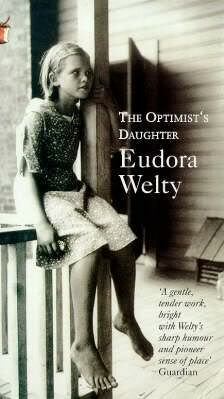 So that’s what I think I’m getting from Welty’s writing: something partially remembered, but also very familiar. 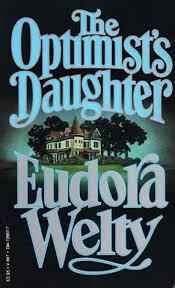 The Optimist’s Daughter begins in New Orleans. Elderly Judge McKelva was on holiday but has come to hospital to get his troublesome eyes seen to, because he’s admitted at last that there’s something not right. His quiet daughter Laurel, and his snapping second wife, Fay, come with him. The operation is performed, against Fay’s wishes, because she doesn’t believe in preventing nature from taking its course. When he dies shortly afterwards, Fay is very pleased to be able to say that she had advised against the surgery from the start. Fay’s sole interest is Fay: nothing else is of any importance. When the judge wakes up briefly after the operation, and calls his daughter by her childhood name, and asks what her mother might think of him being in hospital, Fay immediately demands the judge’s attention to make him remember her existence: she doesn’t care two hoots that’s he’s finally regained consciousness. The hospital seems eccentrically loud and folksy, because Welty writes the dialogue to jar and to surprise. The day nurse isn’t at all soothing: she shouts and she repeats herself, and the surgeon speaks as if he’s at the country club, which, of course, he is, since he and Judge McKelva are old friends. The judge takes a long time to recover from the operation, and Mrs Martello is installed as an experienced night nurse. Once night, three weeks after the operation, Laurel comes back to the hospital to see Mrs Martello dragging Fay out of the recovery room, and there’s a lot of screaming. The surgeon runs in, Laurel hears, but doesn’t understand, that the judge is dead, and she goes to the waiting room. Fay is weeping and wailing, but it’s not what you think it might be about. She’s furious because the judge is clearly refusing to get better, even after all her weeks of nursing him with the inconvenience of food through a straw, using up all her cigarettes. It’s her birthday, so she had decided it was high time he stopped messing around and got out of bed so they could celebrate, and she could have the rest of her holiday. Mrs Martello had found her shaking the judge by the shoulders, insisting that he get up now. Clearly Fay’s selfishness has monstrous proportions, but no-one seems to be able to do anything about it, except watch her with silent contempt. She’s furious, because as the widow she knows she is the most important person. She blames Laurel for Mrs Martello’s high-handed behaviour in interfering in Fay’s own business, and accuses Dr Courtland for letting her husband die. Nothing is her fault, ever. The judge’s body is taken home to Mount Salus, Mississippi, for the funeral. As soon as Laurel gets off the train, she is embraced by her own people in her own town, and Fay is quietly, tacitly rejected. Fay is a country upstart, a pretty little thing that the judge married ill-advisedly, and she seems to be no more than an ill-bred and selfish little madam. But through the homecoming, and the funeral, Welty shows us more depth to Fay than we would have believed possible. The more we see, the worse she gets. Her rudeness is outrageous, and her venality and greed are astounding. The South is supposed to be all about Southern manners and niceties observed: Fay’s country upbringing in poverty and uncouthness has bypassed all that, and she brings the crude power and vigour of Texas into Mississipean gentlemanly circles. Her proper name is Wanda Fay, she’s a catfish among the stately old trout of southern hospitality, and we anticipate some powerful ripples in the water. Laurel has to endure Fay in her father’s house, even though she loathes her. Laurel’s depiction is curiously flat, but with depths beneath her unargumentative exterior. We can see that she’s constantly hiding what she feels beneath her southern politeness, but we’re not sure what it is that we can’t see. She clearly desires to refuse Fay anything she wants, or any advantage Laurel might regret. Laurel wants a gentle polite surface to be maintained: Fay wants her money and her property and to take her chance of having a good time at last. Although Fay appears to be the tougher and the nastier person, Laurel is pretty tough too: she endures, and she simmers, whereas Fay emotes all over the place. They are an intense combination. The house is also a player in this situation. It’s not a battle, since there is nothing to be fought over, merely having to spend time together in very trying and distressing circumstances. But the house becomes a battleground. It’s a valuable thing in its own right, for its architecture and its contents, and its memories, and it is now all under Fay’s control. Laurel looks for a breadboard, something old and precious to her, and finds that Fay has thrown it out, either years ago, or only a few days ago, out of spite. In the private room she uncovers memories of her childhood, of her mother’s illness and death, and the secrets of her mother’s life. Her mother is revealed as a fairly exacting person, and in this light, the doting and rather foolish husband of two termagant wives, Judge McKelva becomes a different person, and he loses consequence in his daughter’s revising memory. Laurel’s own history, between leaving home for marriage and a career, and coming back with her father’s body, also becomes revealed, as she copes with surviving the funeral. The funeral is pretty spectacular. We sit like horrified and fascinated flies on the wall watching, as Fay’s Texan family arrive, uninvited and unexpected, to lower the tone in all ways imaginable. Secrets are casually laid on the table, and new players in the story of Fay and Judge McKelva’s marriage lurch into view. The Texans also add genuine family feeling to the emotions simmering in the air, because Wanda Fay is loved, and she loves them, even though they are all awful, ghastly, horrible people: or, at least, that’s what the Mount Salus people think of them. 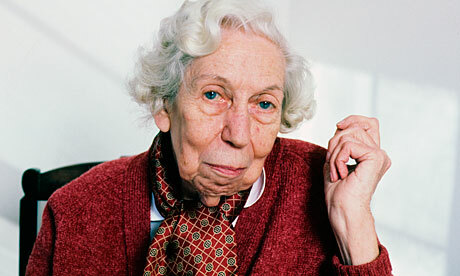 Welty puts us on the spot here: we’re not sure with whom we should sympathise. Wanda Fay’s past history comes a little unstuck, and Laurel starts wondering more about the killing of Judge McKelva. Fay is a horrific character, because she is so unbridled, so uninterested in keeping things calm and quiet: she’s too loud and too scratchy for Laurel, and she might be too much for the reader as well.